The Cuban Rock Iguana is usually grey in colour stripped or mottles with tan and has tan head and tail. Adults reach about 4-5ft in length, with a high dorsal crest scales. 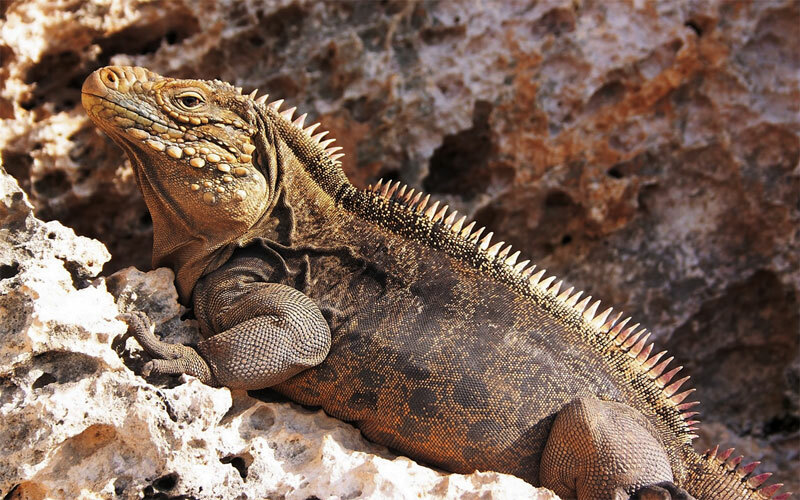 Like all iguanas, they like to climb, but feel comfortable on the ground. They often sun themselves on rocks. This herbivorous species has red eyes, a thick tail and spiked jowls and is one of the largest lizards in the Caribbean.